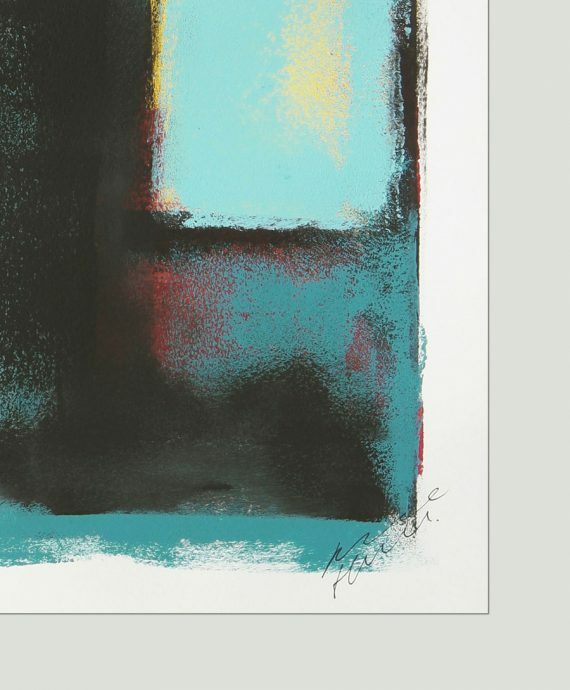 The new Ronald Hunter collection of Fine Art on high quality/ thick paper (240gr). A balanced composition of color and form, every piece is unique and handmade. The frame and passe-partout in the picture are not included. You will receive this artwork rolled in a tube. The images show what the artwork would look like with a handcut passe-partout and aluminium or wooden frame (black or natural oak, 23.6″x33.1″). The artwork is signed on the front, and you receive a certificate of authenticity. Orders are shipped several times a week. Please allow 3-5 business days to prepare the order for shipment. Read all about our shipping policy here . Colorful Small Wall Art – Touch of Yellow. Hand painted by Ronald Hunter. Acrylic paint, in colorful layers. 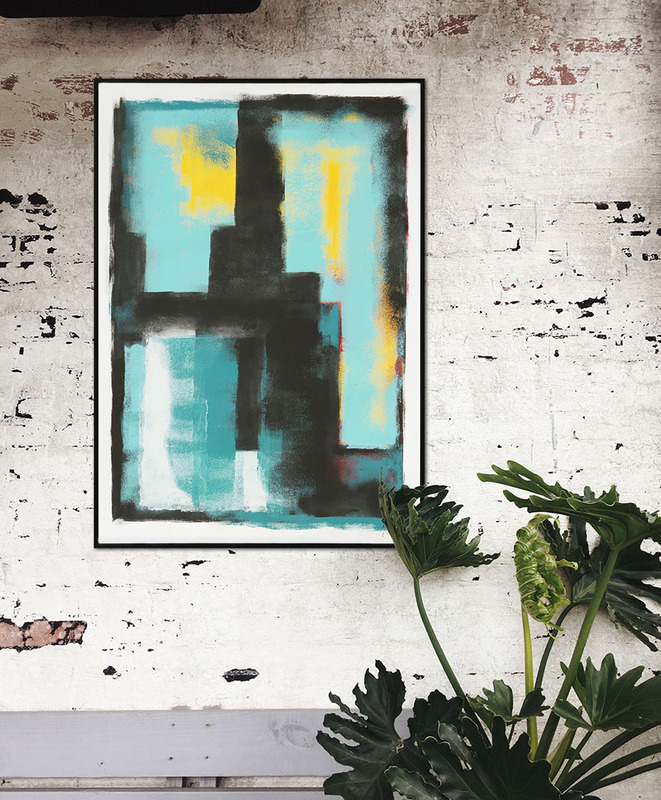 The new Ronald Hunter collection of Colorful Wall Art on high quality/ acrylic paper (240gr). 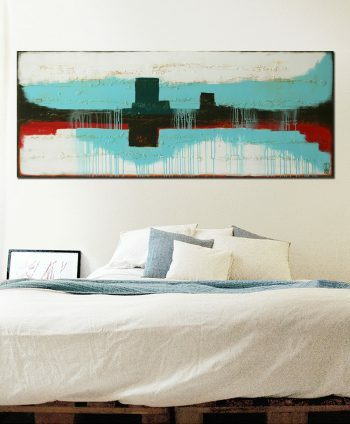 A particularly balanced composition of color and form, every small wall art is unique and handmade. 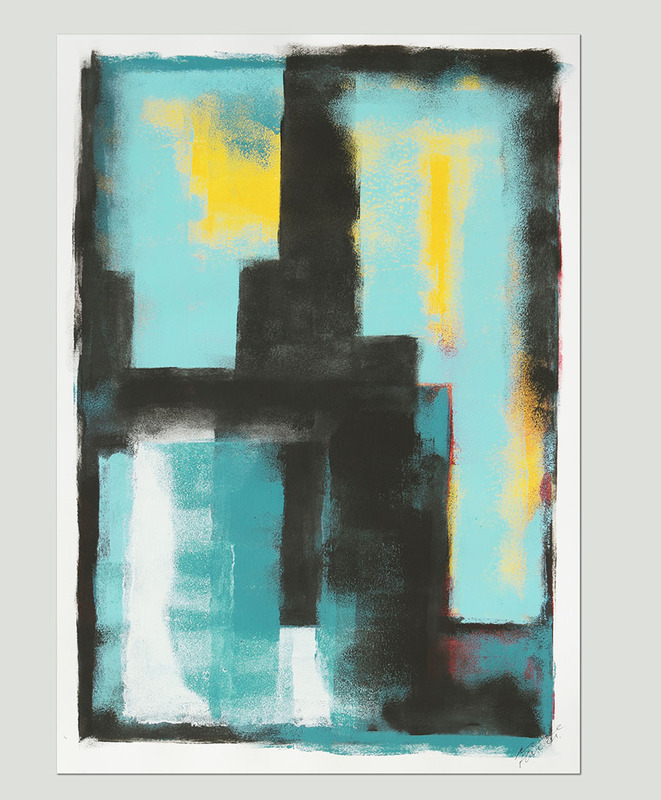 The Fine Art on Paper collection is available in two sizes (42×59,4 cm and 70×50 cm) for your convenience. On top of that, you don’t have to worry about the price tag. Because these original artworks are kind to your wallet. This is a one of a kind artwork, created and hand painted by Ronald Hunter. Each painting is signed on the front. Also, you will receive an official Ronald Hunter Certificate of Authenticity. The artwork is not ready to hang, consequently this artwork is shipped rolled in a tube. The images show what the artwork would look like with a handcut passe-partout and aluminium or wooden frame. Because Ronald only uses high quality materials, customers can enjoy their paintings for a long time. Important to note, new additions of the Fine Art collection are added to our shop regularly. It is noteworthy to keep an eye open for new paintings. Orders are shipped once a week. Because of that, please allow 3-5 business days to prepare the order for shipment. Read all about our return and shipping policy in our FAQ page. Ronald Hunter uses only certified couriers (UPS, TNT, Fedex..). Based on the size of the painting, the courier might vary. The orders are picked up from the Rotterdam studio several times a week. Please allow up to 3 business days for us to prepare shipment. Once shipped, it usually takes 2-4 days to arrive, depending on its destination. Benelux is 2 days, Europe region is 2 days, everywhere else 3-4 days. If you are in a hurry, please get in touch and we can book a priority shipment (for a surcharge). We ship worldwide. 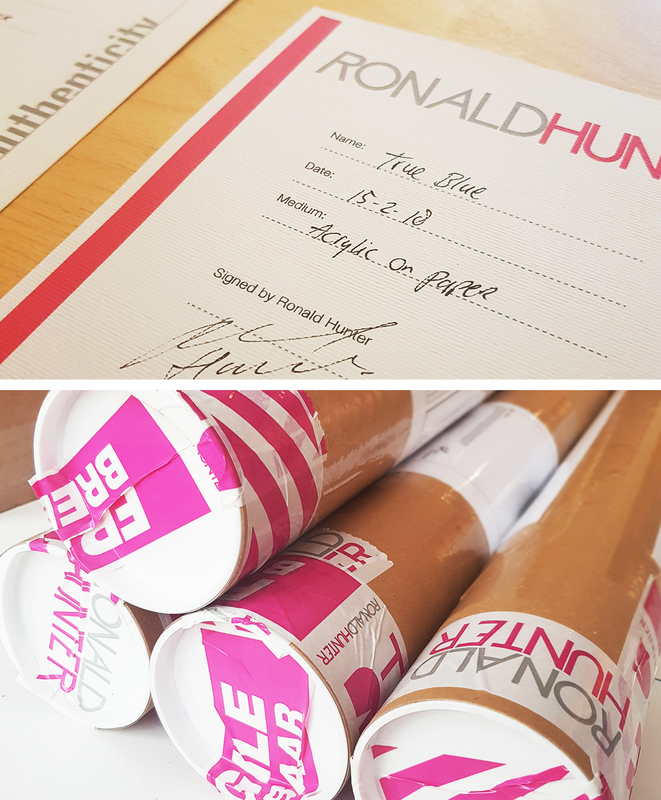 Ronald's art has been shipped to 52 countries so far. What shipment fee applies to my country? The shipment fee that applies to your country is automatically calculated. Note that international customs charges are the buyers responsibility. What to do when a package is damaged? We securely pack the painting in layers of bubble wrap and a firm cardboard box. The Fine Art on Paper is shipped in a firm tube. If in the unlikely event, you notice that the package is damaged upon delivery, you can either refuse the shipment or you can have the delivery company mark the tracking as received damaged, subject to further inspection. Please file the claim immediately. You also must keep all boxes and packing material. Please make photos of the damages package and send them to Ronald Hunter with the info of your actions on it. We offer secure payment via PayPal, iDeal, Bancontact, SOFORT. We also accept credit card payments (Visa, Mastercard, American Express) and direct bank transfers. Please note that with direct bank transfer, we will prepare shipment once the payment is received. We use a certified payment service (Mollie - www.mollie.com) for secure payments. We don't store any payment details, they are only retained as required by the processing company to demonstrate approval for the transaction provided by the customer. Browse the items in our shop, and simply click on 'Add to cart' to purchase an item. 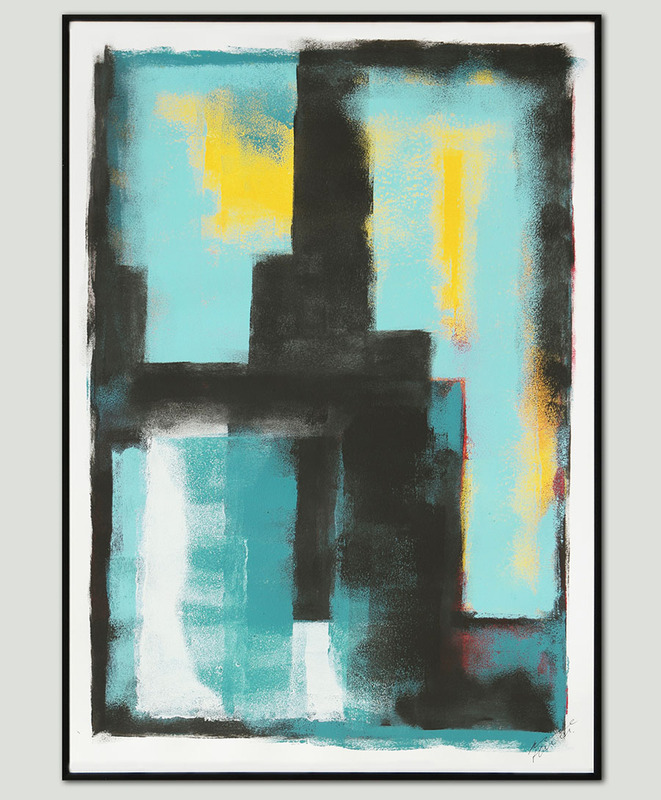 If you want to have the artwork framed, you can choose a frame by clicking on 'Add Frame'. Do I need an account to place an order? It is not necessary to create an account, you can use a guest account to place an order. Please fill out your personal details when checking out, for us to know where to send the package. Who should I contact if I have any queries? For any query you can contact us by email or phone, check out our contact page to know how you can reach out to us. You can also visit our studio in Rotterdam if you are in the neighborhood, just drop us a note to let us know when you plan to visit us. How Can I Cancel Or Change My Order? If you wish to change or cancel the order, please get in touch with us as soon as possible. As long as the package is not shipped, we can change or cancel the order free of charge. You receive a link with a track&trace code from us. This allows you to keep track of your shipment. Ronald Hunter sends out the orders once a week. How Can I Return a Product? We want you to be happy with the artwork, so we offer a 14-day money back guarantee. Please be aware we offer a full refund of the painting, but shipping is at your own expense. It is also the customers responsibility to get the painting back to Ronald Hunter Paintings in Rotterdam. We only accept returns in original package, make sure you keep all packaging materials until you are sure you want to keep the artwork. If you want to return the painting, please get in touch to discuss the appropriate actions.